Haoquan Wu, Ph.D., associate professor in the Paul L. Foster School of Medicine (PLFSOM), has received a two-year, $420,000 grant from the National Institute of Allergy and Infectious Disease (NIAID) to study the mosquito-borne virus Zika. 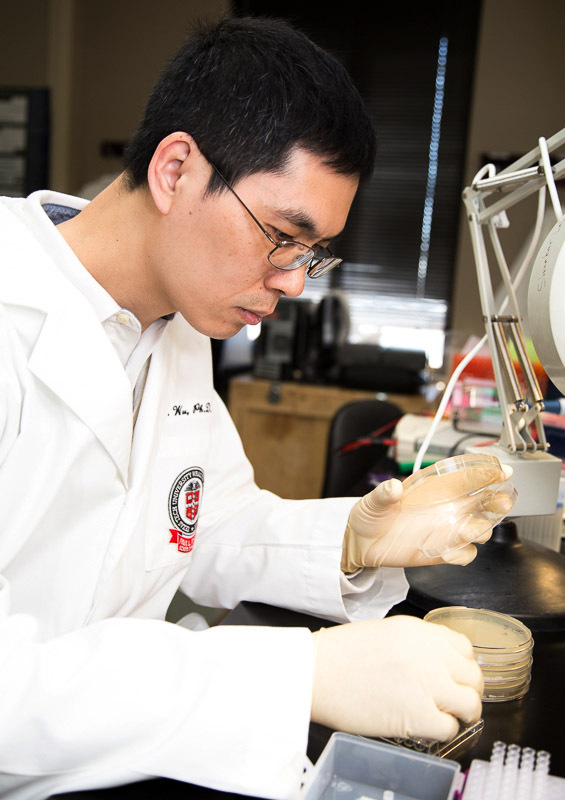 Haoquan Wu, Ph.D., associate professor in the Graduate School of Biomedical Sciences, has received a two-year, $420,000 grant from the National Institute of Allergy and Infectious Disease to study the mosquito-borne virus Zika. With the NIAID grant, Wu and his colleagues at Texas Tech University Health Sciences Center El Paso (TTUHSC El Paso) will try to determine which human genes enable the virus to attack and kill human cells. To do this, Wu will conduct a genome-wide knockout screening — a process that specifically knocks out, or deactivates, each gene in the human genome —to identify the genes involved by process of elimination. As each gene is deactivated, cells will be put to the test and infected with Zika. The cells that are able to resist and survive the virus’ attack will help identify which genes Zika is harnessing to survive in the human body. The TTUHSC El Paso team plans to use CRISPR-Cas9, a technology that allows scientists to deactivate genes, to conduct their work.